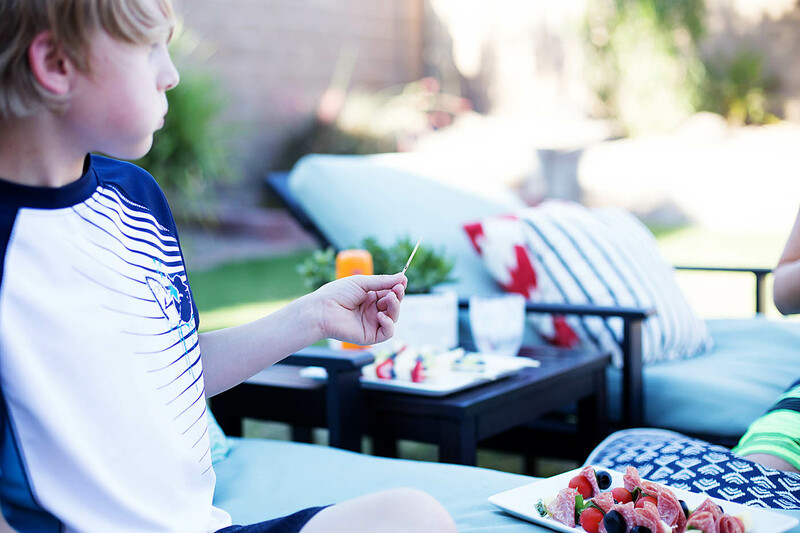 It’s pool time here in Phoenix and we definitely take advantage of our backyard pool. Most afternoons are spent out here and last into the evenings! 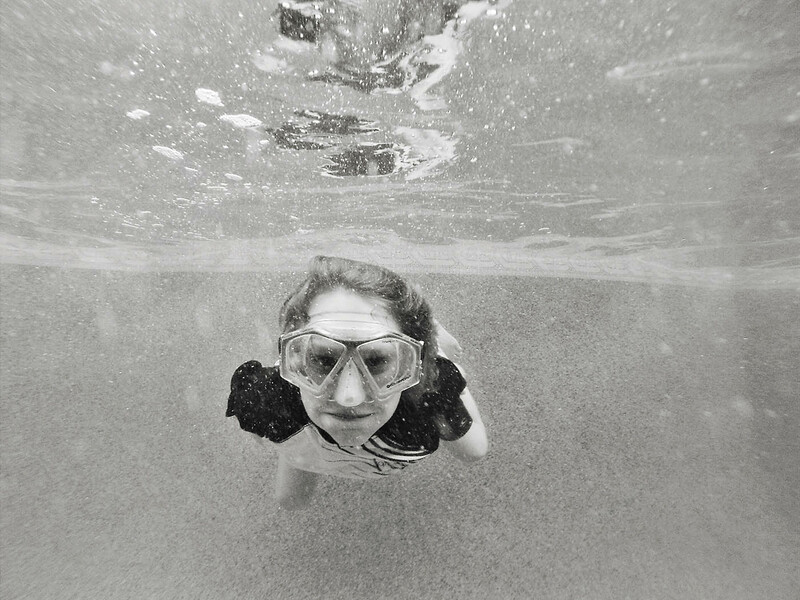 We love being outside, making up new pool games, taking underwater photos and just soaking up the long summer days. 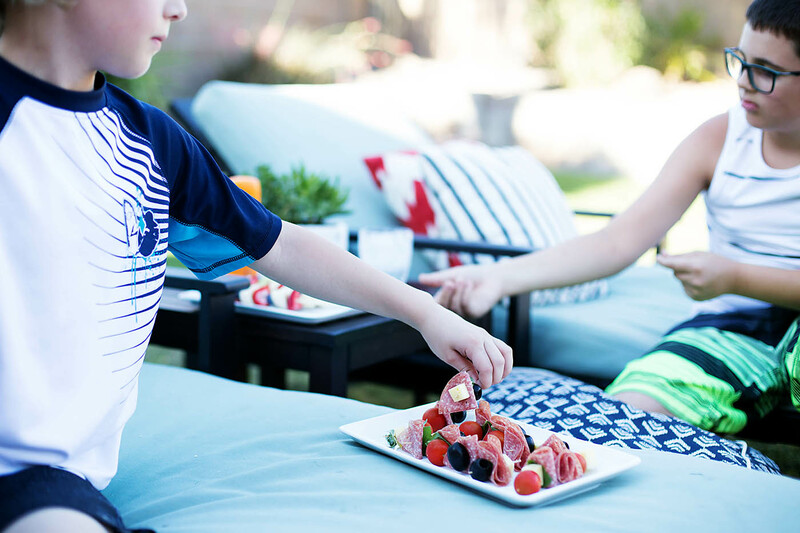 We’ve definitely come up with some favorite poolside snacks since having 2 growing boys around here means LOTS of food. Here’s one of our “go to” ideas. 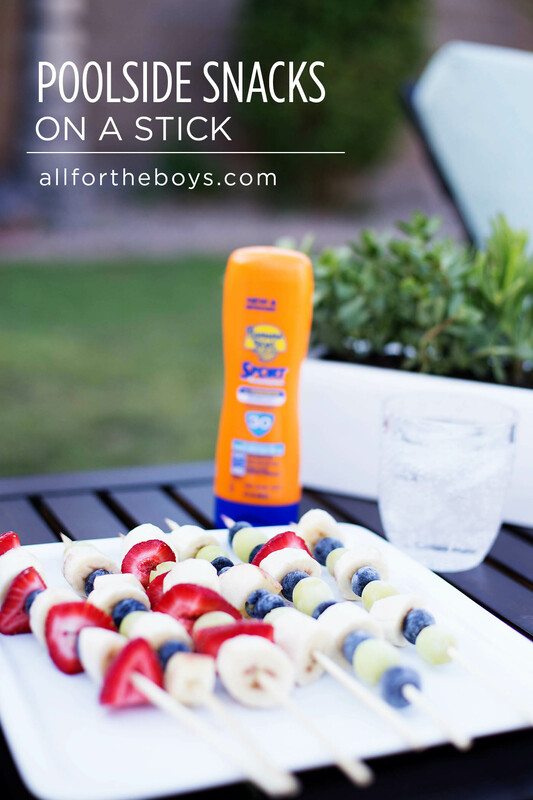 My boys like a good mix of sweet and savory so poolside snacks for us usually include both. 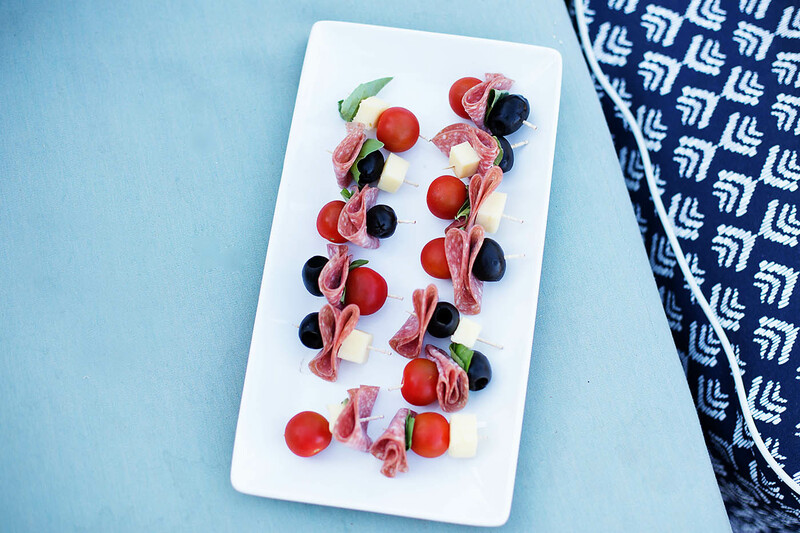 Skewers or toothpick snacks are fun because they’re easy to serve, eat and clean up! 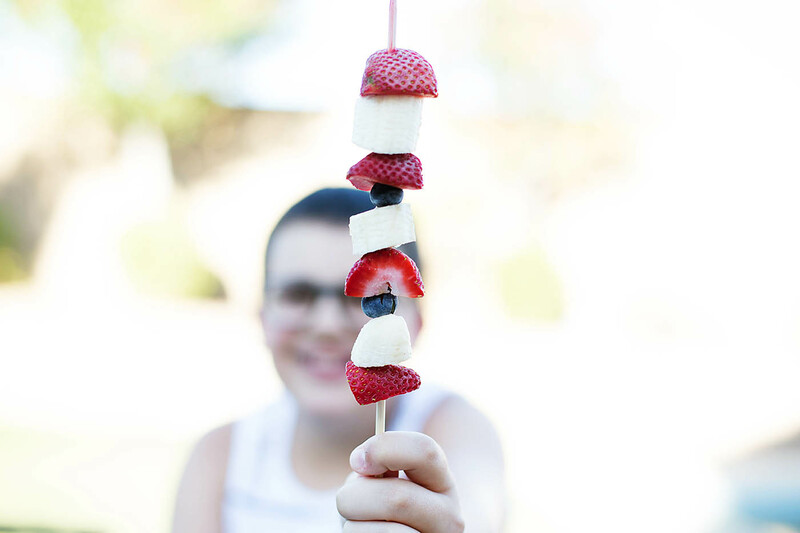 We love to freeze the fruit skewers so they are nice and cold like a popsicle. 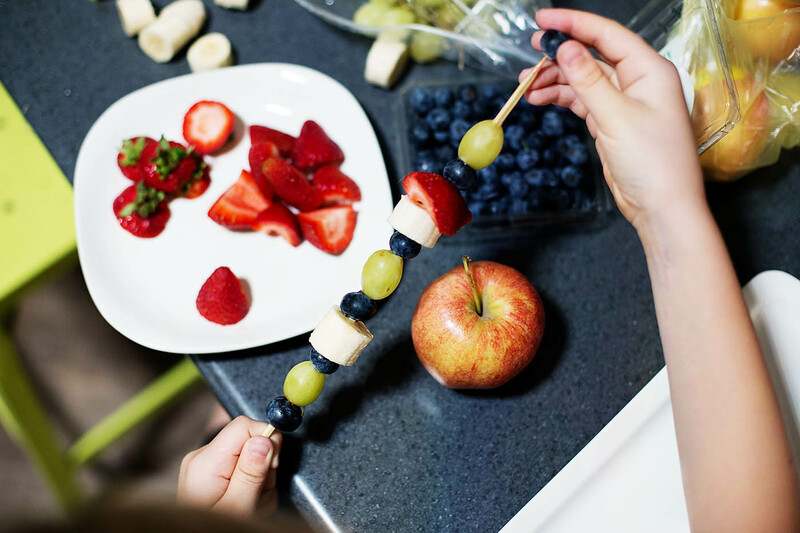 Just add cut fruit to a wooden skewer and place in the freezer for a few hours. I love how easy it is to customize these to the preferences/needs of each person. 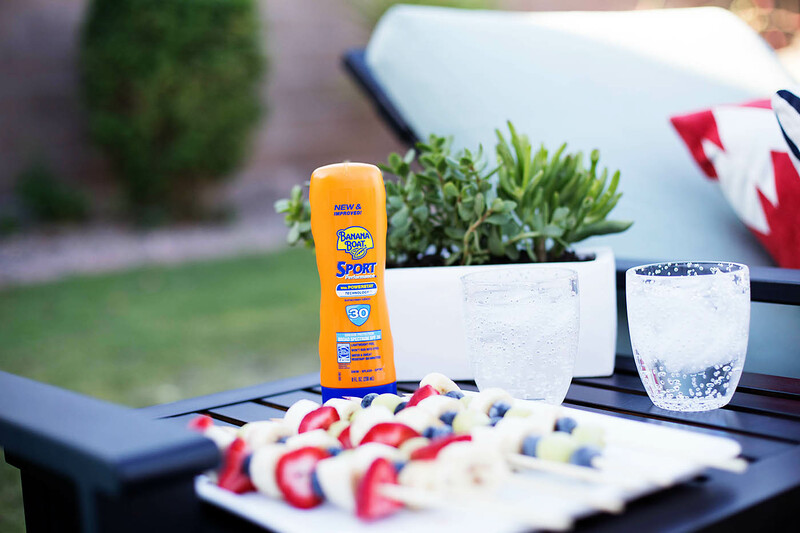 Since we’re spending so much time outside we obviously have to consider sun protection. Banana Boat Sport Performance Lotion Sunscreen has powerstay technology that locks in place so it stays on in the intense Phoenix heat & in the pool up to 80 minutes! The boys do not want constant re-application so finding something that stays on and that is water resistant is important. I also find it useful to have on hand when we have visitors as well! 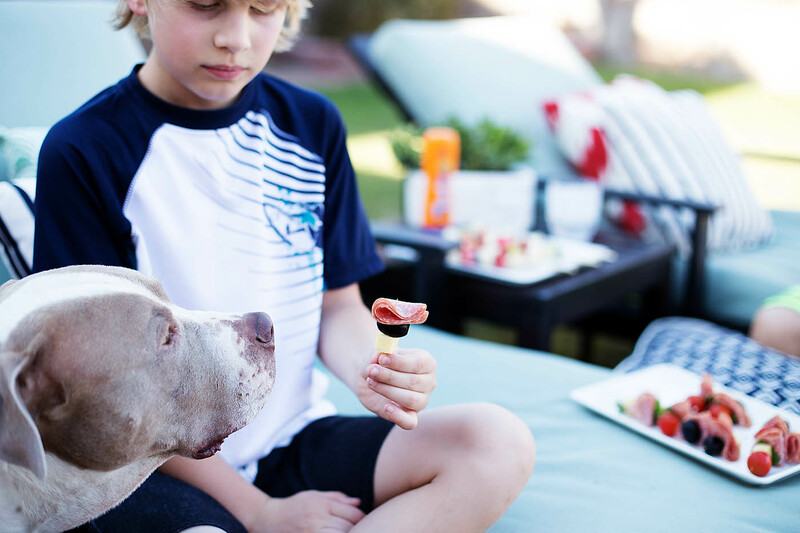 They’ll swim outside for a while and while the sun’s out they know they need to watch the clock and make sure they are protected so having something that they know will stay on is important! 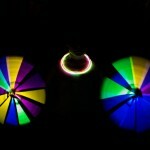 Our friends and family that are over for summer fun think the same thing! Speaking of summer fun – Banana Boat is sharing some really fun family activities and ideas all summer long on their Facebook page. 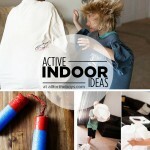 Check out this easy DIY launcher toy for example! 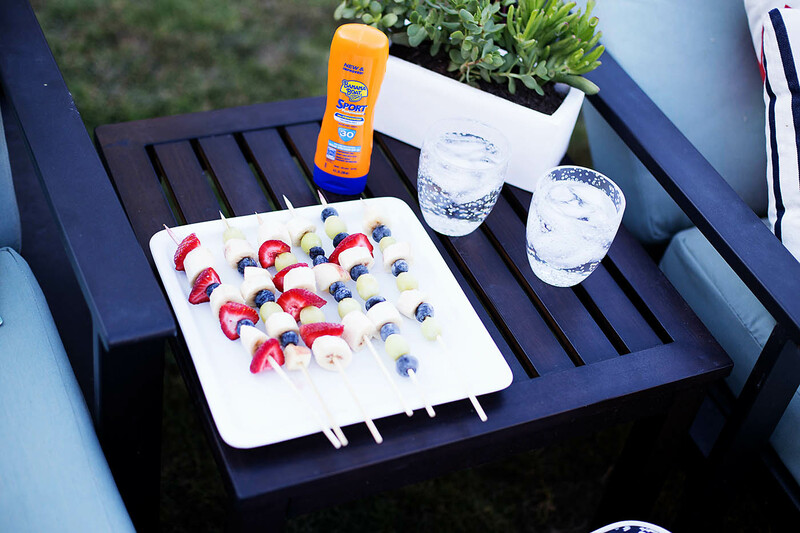 So what are your favorite poolside snacks? I need to add some more to our “go to” list!